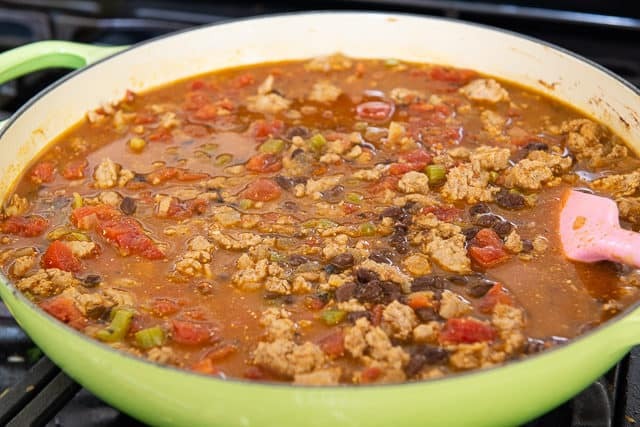 Turkey Chili - Healthy Turkey Chili Recipe - Easy and SO flavorful! 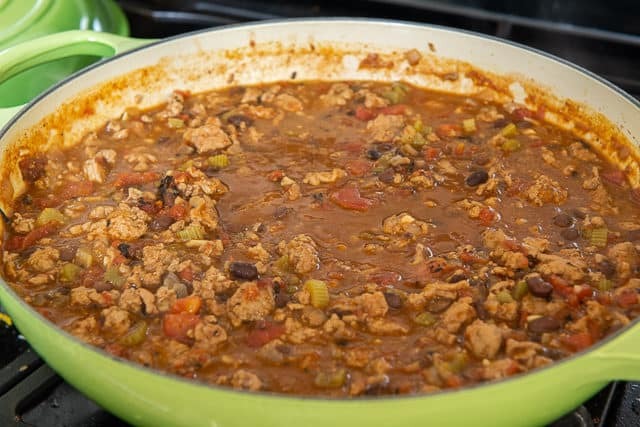 This Turkey Chili is full of spice and flavor, and is ready to eat in 45 minutes. It’s one of the quickest chilis you can make, and leftovers keep beautifully! Even though I love a classic beef chili too, Turkey Chili is my favorite. 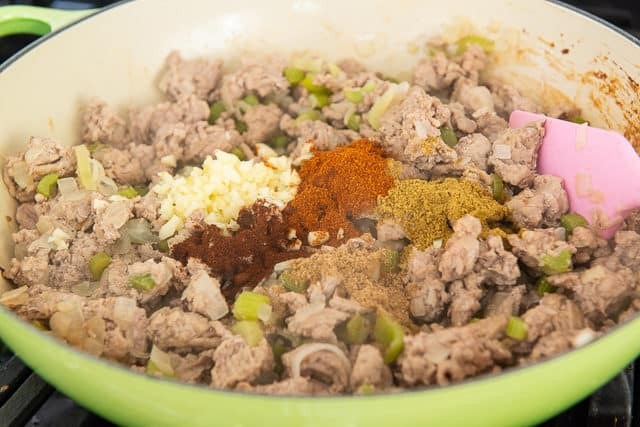 Dark ground turkey has a fantastic texture that works really well in chili. It doesn’t need a ton of simmering time, and it still manages to have a very tender texture that is anything but tough. This chili in particular has a nice level of spice, that I’d probably call a medium. The ground chipotle in particular is quite spicy, so if you want a milder experience, swap it out for smoked paprika. Another bonus to this recipe it it’s all done in one pot. 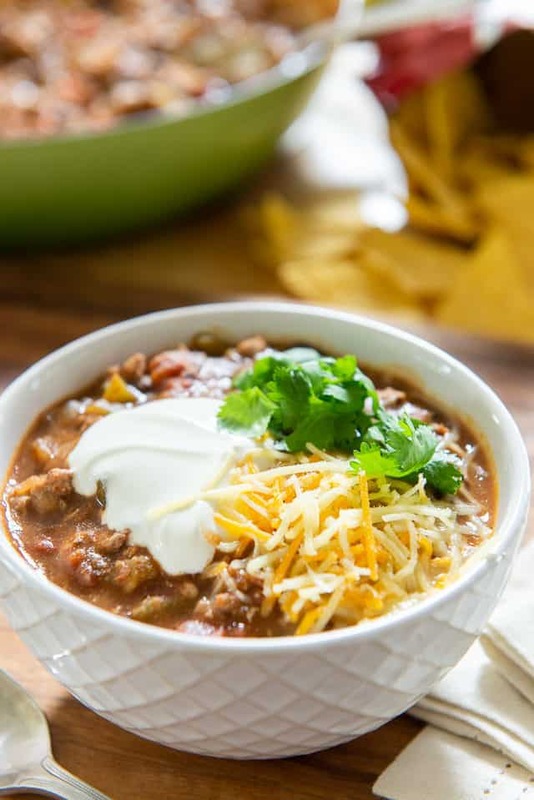 My favorite recipes are the ones where it’s easy and delicious, dishwashing is minimal, and you end up with lots of leftovers, and this chili fits that to a tee. The vegetables should be nice and soft. Mix everything together, then bring the chili to a boil. 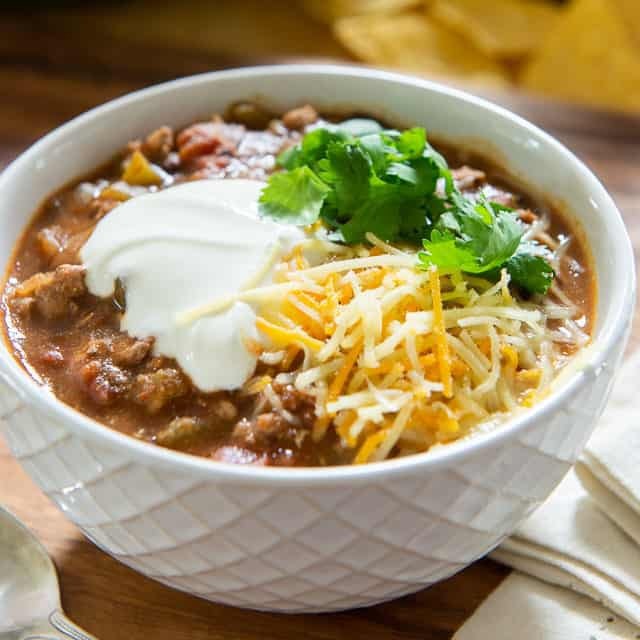 The chili is now ready to serve with your favorite toppings, like sour cream, cheese, guacamole, and more! And even better, this is a pretty big batch that should give you some leftovers. I always think chili tastes better on the 2nd day, after the flavors have melded more (but it’s still plenty delicious to eat right away). 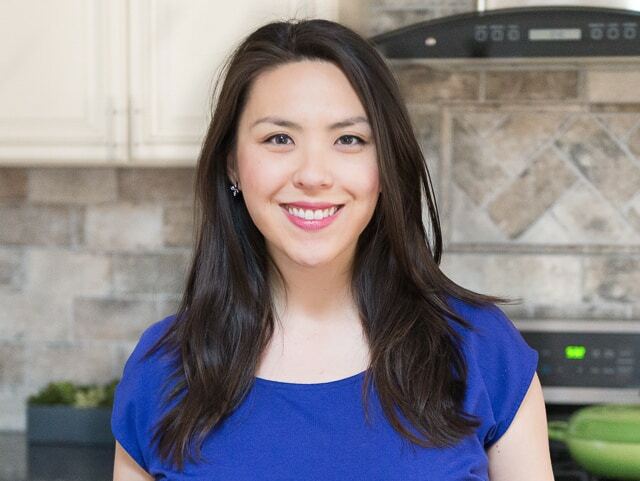 Lettuce Wraps, Turkey Burgers, and Turkey Meatballs are some of my other favorite recipes using dark ground turkey. 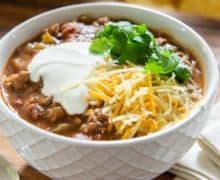 Can Turkey Chili be frozen? Yes, it freezes well for up to 2 months. How long will Turkey Chili keep in the fridge? Up to 1 week. How to Make Turkey Chili in the Crockpot: This recipe would actually work better in an Instant Pot (affiliate), because it’s important to soften the vegetables and brown the turkey. If using a crockpot, I recommend softening the vegetables and browning the turkey first, then place all ingredients in the slow cooker on low for 2 hours. 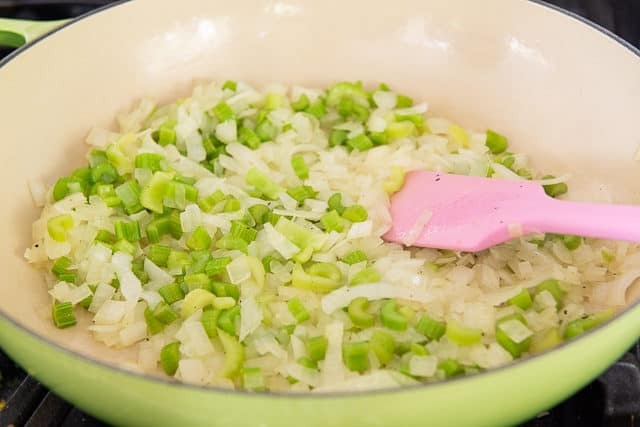 Heat a large pot over medium heat and add the celery, onion, one tablespoon of olive oil, 1/4 teaspoon of salt, and 1/4 tsp black pepper. Cook for 10 minutes, until softened. Turn the heat up to medium high. Add the turkey to the pot and season with the remaining 1/4 teaspoon of salt. Brown the turkey for about 5 minutes, until fully cooked through, breaking the turkey up into small pieces with your spatula. Add the cumin, chili powder, coriander, chipotle, and garlic and stir for 1 minute, until fragrant. 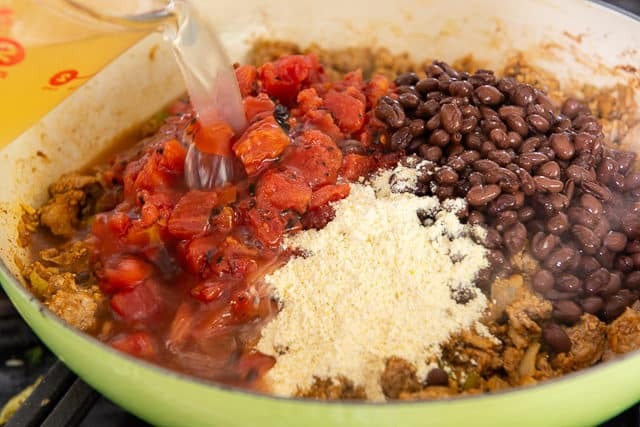 Add the tomatoes, black beans, cornmeal, and chicken stock, and bring the mixture to a boil. Reduce to a simmer, then cook for 20 minutes, stirring every 5 minutes (the cornmeal has a tendency to settle at the bottom of the pan). Taste the chili and add more salt if you'd like. 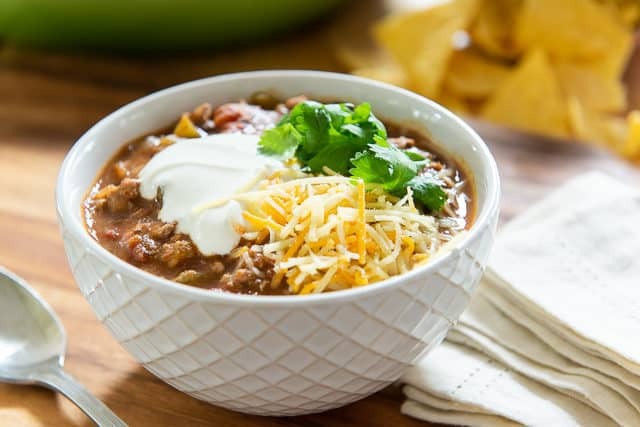 To serve, ladle the chili into bowls and top with grated cheese, sour cream, corn chips, or whatever toppings you'd like. Enjoy! Leftovers will keep well in the fridge for up to 1 week. I find chili taste the best on the 2nd day, after the flavors have melded a bit more. Post updated in October 2018. Originally published February 2013. This is a perfect recipe if you want a delicious but not so spicy chilli. It was a perfect blend of seasonings for a milder chilli.